It's the time of year for office holiday parties, and a time for both executives and employees alike to come together, look over the room and be amazed at just how many people they work with. For growing businesses, someone in that room has to face the daunting task of keeping track of everybody. With the new year approaching, they may want to consider a new approach to managing the human side of the company. We all remember the image of factory workers lined up to stick their card in the punch clock and pull the lever. That's still around, and still a reliable way to document an employee's hours. But for businesses with many waged employees, who has time to calculate all those hours? New technologies like swipe cards and proximity badges have made the rounds. 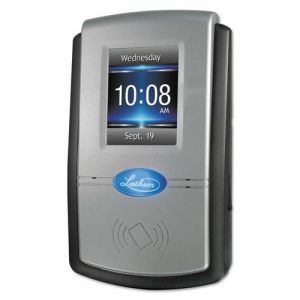 These are popular not only because it's easier to punch in and out, but the payclock records and calculates all the data. This is then exported to your payroll software. Want to go even further? Want to eliminate the possibility of an employee losing their card or badge, or even giving it to their co-worker while they skip out unnoticed? Biometric time recorders eliminate all of that. Timeclocks using fingerprint scans are older than you realize, but the new hotness is face recognition. No cards, no fingers- look at the clock and it'll record you as in or out. 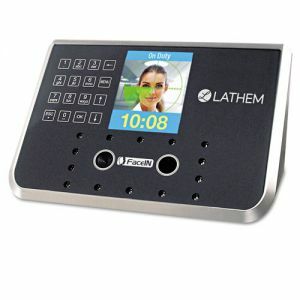 In addition, if a simple timeclock is able to recognize everybody's face, nobody at the office party has any excuse not to know who all their co-workers are.